February is the month of Cupid, of Hallmark, and of love. It is a month that evokes strong emotions: apathy, repulsion, despair, or euphoria. It’s a mixed bag of feelings depending on where we are at in our journey and what our experiences and understandings of love are. Christ became an example, a witness to us, of the purest form of unconditional, sacrificial love. There are no Hallmark cards to fully encapsulate the love of Jesus. Our love for pizza and our love for Jesus are both forms of love, but nowhere near each other on a measuring tape. Our love for our children and our love for our spouse are equally powerful, yet tremendously different. Our love for God is challenged by our call to love our enemies. Our love of stranger, neighbor, other, is often correlated to our love of God and our love of self. Our love of self is a complicated and confusing can of worms. How can we possibly make sense of all of this love business? Is it all feelings or is there more to love than how our fickle emotions move us? What does God want us to know, understand, and practice when it comes to love? How are we called to love those who are different from us, especially when we disagree with their politics, religion, way of life? 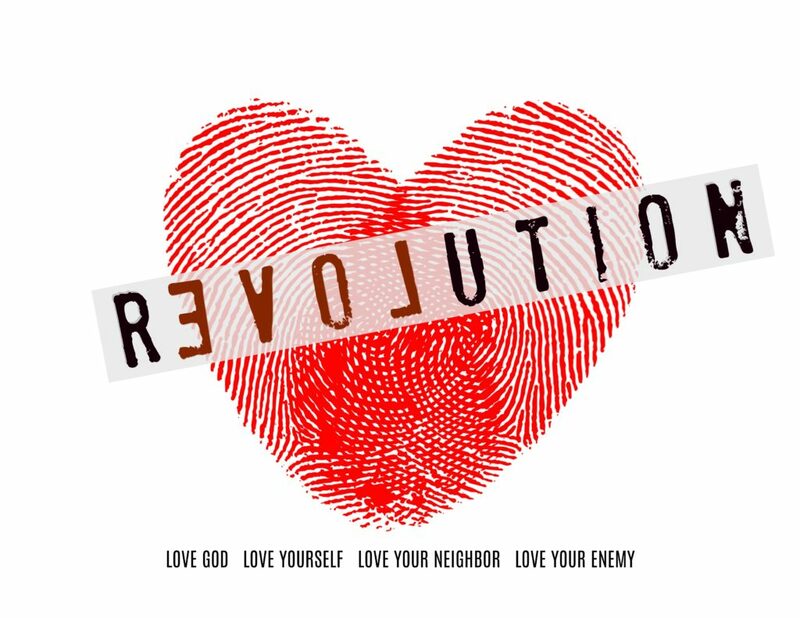 A Revolution of Love is a sermon series designed to help us dig deeper into the Word of God to discover what we are to know and practice of: the love of God, love of self, love of neighbor, and love of enemy. We will also look at three biblical forms of love: Agape, Eros, and Philos. We are called to love as Christ has loved us. In the words of Bob Goff, we are called to love everybody, always.